In EOL, surface, sounding, and profiling systems are managed by the In-situ Sensing Facility (ISF). ISF serves advanced observational needs of the atmospheric science community by providing a flexible, state-of-the-art backbone measurement capability applicable to a wide range of experimental needs - emphasizing advanced sensor capabilities, sensor integration, system mobility, and the ability to deploy to remote or difficult locations. The researchers we work with use our instrumentation to investigate the atmosphere from the surface to the lower levels of the stratosphere. The In-situ Sensing Facility develops and operates meteorological instrumentation in three broad areas: the atmosphere - surface interface; soundings; and profiling. ISFS can be deployed as a widely distributed network of surface weather stations - measuring the surface energy budget, fluxes, and some soil parameters. 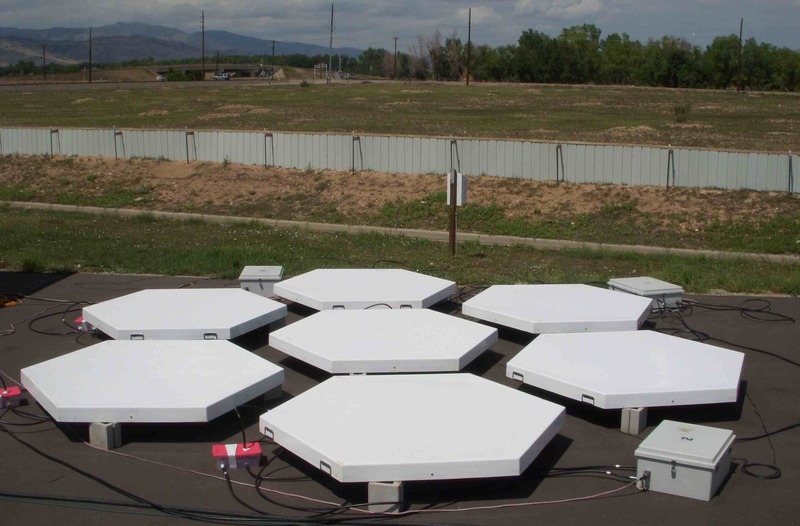 Alternatively, it can be deployed in closely spaced arrays to support intensive micrometeorological research at a single site. Solar power, RF modems and satellite data transmission permit ISFS to operate almost anywhere. NCAR's AVAPS Dropsonde Systems provides detailed profiles of atmospheric temperature, humidity, pressure, and horizontal wind from locations targeted with aircraft. Systems are available on the NCAR aircraft (NSF/NCAR HIAPER and C-130) as well as many research aircraft around the world. The ISS is deployed by the Atmospheric Profiling Group and combines surface, sounding, and remote sensing instrumentation to provide a comprehensive description of lower atmospheric thermodynamics and winds. Integrated instruments are: 1) Radar Wind Profiler (with RASS for temperature profiling), 2) a GAUS radiosonde system, 3) an enhanced surface meteorological station (radiation and precipitation data in addition to standard temperature, pressure, humidity and wind), and 4) local data processing, display, and communications infrastructure. 915 MHz and 449 MHz wind profiler radars are available. » Read more about the ISS, MISS and Modular Wind Profiler. Driftsonde is a cost-effective platform for deploying miniature dropsondes over oceans and remote arctic and continental regions where in situ measurements from radiosondes are not possible. Dropsondes can be dropped from the lower stratosphere during a mission lasting from days to months. During a recent experiment named Concordiasi Driftsonde provided more than 650 dropsonde profiles over Antarctica - data which could not be obtained by any other means. The centerpiece of MPN is a network of uniquely configurable 449 MHz wind profiling radars, and great progress has been made in this area area of development. MPN will be an advanced ground-based profiling network to better meet the diverse measurement needs of the atmospheric community. The aims of the system are flexibility, good altitude coverage, fast measurements, and easy deployment. A final system is envisioned to integrate networks of mini Doppler lidars and surface boundary condition observations with the radar wind profilers. There are many motivations for having high quality in-situ reference radiosonde sensors with known accuracy and uncertainty. Our work in this area has focused on humidity measurements, and includes strong collaboration with the WMO GRUAN effort. As the next generation of ISFS, CentNet will apply new technologies such as wireless sensor networking to greatly expand the size of our deployable surface measurement network. We envision a surface network of 100 self-contained systems to support field studies on many geophysical topics. Each Centnet station would provide research-quality direct measurements of all components of the surface energy budget, with other sensors added to support specific research topics. TRAM is a platform to make surface-based in-situ measurements in situations where the dominant spatial scales are unknown. It is implemented as an electric train that uses a steel cable suspended along a set of fixed towers for its track. The track can be formed in almost any closed loop with climbs/descents of up to 15° and spans between towers of up to 20m. In principle, total track length is unlimited, though distances of more than 2km probably are not practical. We operate a sensor calibration laboratory to ensure our field sensors are properly calibrated and to support instrument developments. The laboratory can simulate the full range of pressure, temperature, humidity, and wind speed to which meteorological sensors are normally exposed. Our calibration systems are traceable to either primary standard maintained at NIST, or to secondary standards.